Through trusted partnerships, we provide process automation services and emergency support that maximizes your operations and minimizes down time. Whether implementing a new system or improving the existing one, our team's approach encompasses both operations and engineering perspectives to get the most out of your investment. Our services are supported by a range of innovative products. These new, patented (or patent-pending) products increase efficiency, reduce risk, and simplify reporting. Extensive experience in industrial facilities across the US means our team understands the challenges you face and how to solve them. Our knowledge and expertise will decrease down time, improve reliability, and apply the latest automation techniques. We are adaptable and flexible, which translates into efficient uptime for our clients. Our partnering approach means we become invested in your success. Our products and services are backed by a support agreement, giving you access to our resources as you need them, day or night. 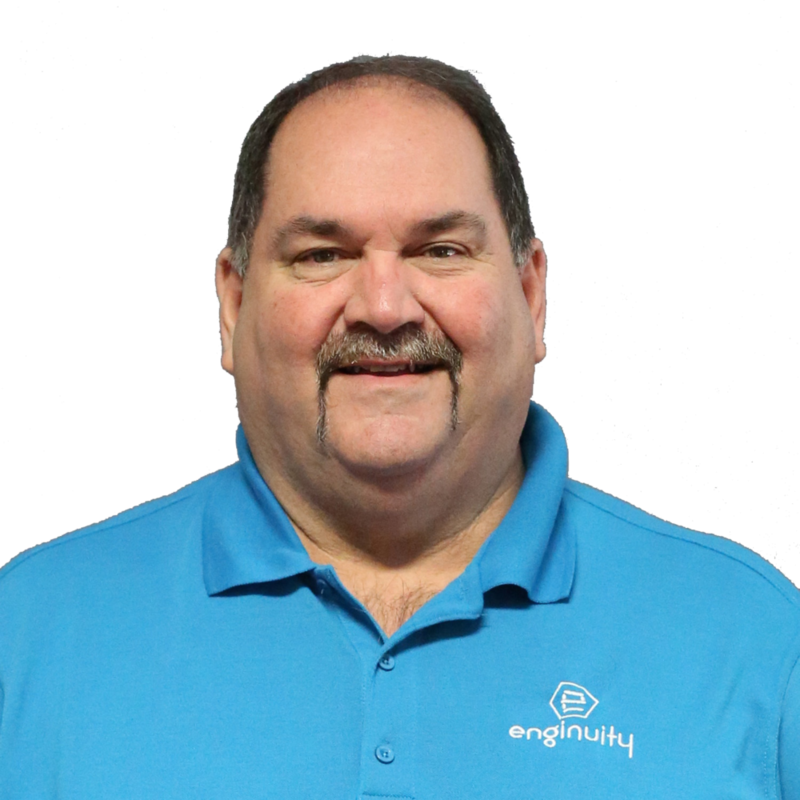 Dan leads our team and the operations here at Enginuity Global. With more than three decades of commercial and industrial sales experience, he also serves as our Director of Sales for North America. Claiming Scottish heritage (a full 3%), Dan is a landowner in Scotland, granting him the title of Lord, which he proudly answers to. Eric leads our Process Automation and Controls team, with his experience in systems ranging in size and complexity. His innovative approach and partnering mentality means your struggle is his struggle, which he is sure to solve. He enjoys long walks on the beach and and impromptu air guitar sesh when the mood strikes. With a passion for perfection and attention to detail, Chris oversees the engineering group and heads production at the offsite manufacturing facility. Chris received his Bachelor's degree in Electrial Engineering, and will soon be a professional engineer. When not hard at work, Chris is at home playing with his three beautiful daughters or geeking out in front of his computers. Whitney leads the marketing and branding efforts for the company. Additionally, she manages the day-to-day business operations to keep the company running smoothly. From a family of entrepreneurs, Whitney has worked with a member of her family in some capacity since the start of her professional career. And she still likes each of them.